"Heart conditions can be inherited in dogs as they are in people. Dogs can also be victims of cancer, tick-borne diseases, autoimmune conditions, arthritis, liver, or kidney disease, thyroid disease, irritable bowel syndrome, and even diabetes," indicates Norma Bennett Woolf, editor of Dog Owner's Guide: Canine Diabetes. Your pet could be at risk for diabetes and in need of medical attention by your veterinarian. This disease has identifiable risk factors that can help reduce your pet's risk. Does your pet get regular and consistent adequate exercise and playtime to keep it fit and well? 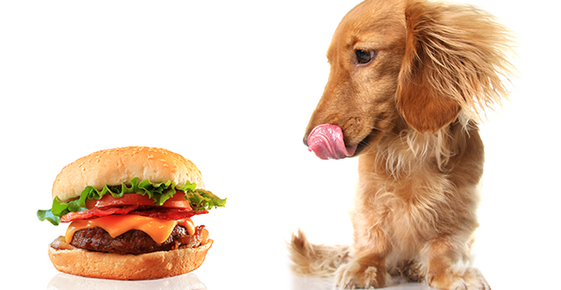 Is your pet's nutrition inexpensive "fast food" purchased in a hurry or quality ingredients recommended by your veterinarian to promote optimum health and wellness? A sedentary lifestyle, genetic history, and obesity can point to increased susceptibility for diabetes. Activity every day is important for your pet. It's also important that activity levels be consistent from day to day. Exercising or engaging in good play around the same time each day will help both you and your pet make activity a lifelong habit. Increasing your pet's activity slowly and with your veterinarian's guidance will help their body adjust to any physical changes. When your pet's activity level drastically changes from day to day blood glucose levels can increase to dangerous levels. Veterinarian Peter A. Graham's Diabetes Mellitus defines the principal clinical signs of an animal with diabetes mellitus as frequent urination and excessive thirst. Animals "lose weight because they breakdown stores of fat and protein (muscle) to make glucose and ketones (an alternative fuel) in the liver." Other clinical signs are cataracts, increased appetite, recurrent infections, and an inability to tolerate exercise. Excessive production of ketones by the liver causes ketoacidosis. This condition makes the animal very unwell. "There are a number of different ways to stabilize a diabetic animal," Graham says. Pets that have been diagnosed with diabetes often receive an insulin injection every day. Insulin is available in doses that last throughout several different time frames. The effectiveness of a short acting dose lasts one to four hours. Medium range can remain effective four to 24 hours and long lasting doses can be effective from eight to 28 hours. Your veterinarian will provide you with the insulin best suited to your pet's needs. "Cats metabolize insulin much more rapidly than dogs," Graham says. "The insulin treatment of cats is similar to that of dogs but requires at least twice daily injections." Dogs also express an increased sensitivity to insulin when they have chronic kidney failure or infections. The number of injections and dosages will be determined by your family's veterinarian after examining your pet and discussing pertinent health history with you. When animals must receive an injection of insulin, someone must be able to give it to them as required. Several members of your family will need to know how to keep your pet's blood sugar in the appropriate ranges and the steps to take to make that happen consistently. It will be important for you to have your veterinarian guide you step-by-step through the process of giving an injection comfortably and successfully. You'll need to know how to administer a dose, when to administer a dose, and how to properly store the insulin between each dose. "Insulin is fragile and will become less effective or even inactive, if it gets too hot or cold, or is shaken vigorously," advises the College of Veterinary Medicine at Washington State University. Remember to follow your veterinarian's recommendations for handling and care, sterile practices, and safe disposal of all used needles and supplies. Canis Major Publications (2011). Dog owner's guide: Canine diabetes. Graham, Peter A., BVMS, PhD, CertVR, MRCVS. Diabetes mellitus. Washington State University College of Veterinary Medicine. Diabetes mellitus.